Successfully Added Universal 2 DIN Car Stereo - Android 6.0, WiFi, CAN BUS, GPS, Octa-Core CPU, 2GB RAM, 7 Inch HD, Car DVR, Rear View Camera to your Shopping Cart. This universal 2 DIN car stereo lets you fully enjoy your ride. It features an Android 6.0 operating system that brings great connectivity and entertainment into your dashboard. With WiFi support, you’ll be able to browse the web at any time. Via the Play Store, you can download the latest Android applications as well as basic games and videos. Therefore, your passengers will never have to be bored again while joining you for an upcoming road trip. Thanks to its Octa-Core processor and 2GB RAM, this Android media player can handle all basic software features out there. With its 7-Inch HD display, it brings forth great visuals for you to enjoy at any time. What sets this 2 DIN car stereo apart from other models is that it comes with its own DVR as well as rear view parking camera. Thanks to this, it does not only provide your passengers with entertainment but also increases your safety on the road. From now on, you’ll be able to record all that’s happening around your car. Additionally, its rearview camera makes driving and parking in reverse easy for anybody out there. As you’ll be able to park your car without having to turn your head, it brings along great efficiency while simultaneously increasing your safety. 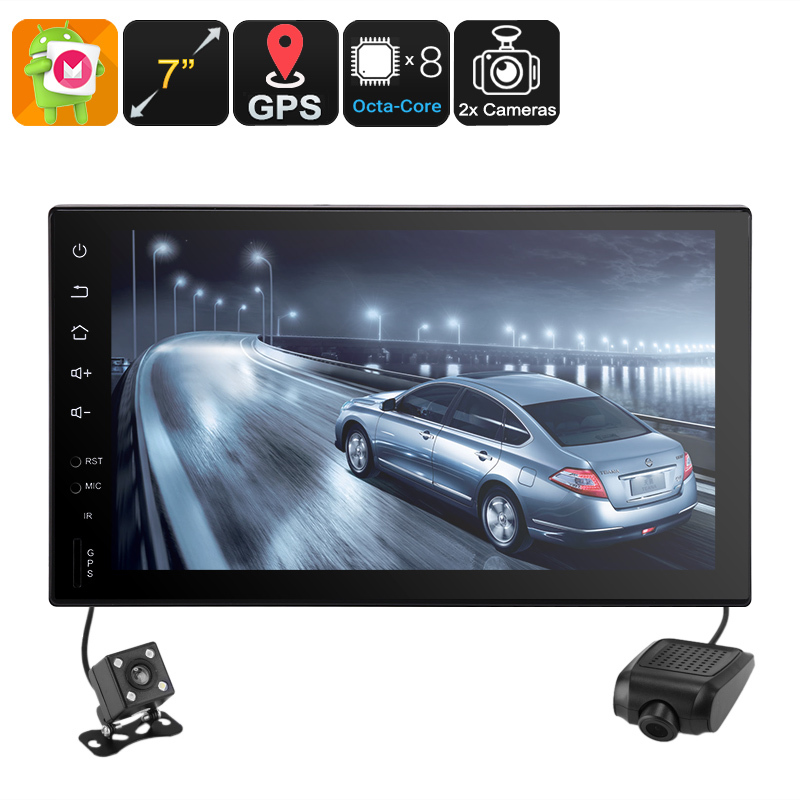 Thanks to this car DVR, if anything happens to your vehicle, you’ll always have high-quality security footage at hand to solve upcoming insurance matters. Your universal 2 DIN media player furthermore supports a highly accurate 20-channel GPS navigation system. With this car navigator at your side, you’ll be able to head out on your next road trip without needing to worry about taking a wrong turn. From now on, you’ll always be able to reach your upcoming destinations in the fastest and most efficient manner possible. Simply insert the Android Map of your liking via the TF card slot, and you’ll be treated with accurate traffic information no matter where you’re at. This 2 DIN car stereo comes with a 12 months warranty, brought to you by the leader in electronic devices as well as wholesale electronic gadgets..